Tomorrow morning the Federal Communications Commission (FCC) will mark the winter solstice by taking an unprecedented step to expand government's reach into the Internet by attempting to regulate its inner workings. In doing so, the agency will circumvent Congress and disregard a recent court ruling. Network neutrality is the principle that Internet users should be in control of what content they view and what applications they use on the Internet. The Internet has operated according to this neutrality principle since its earliest days... 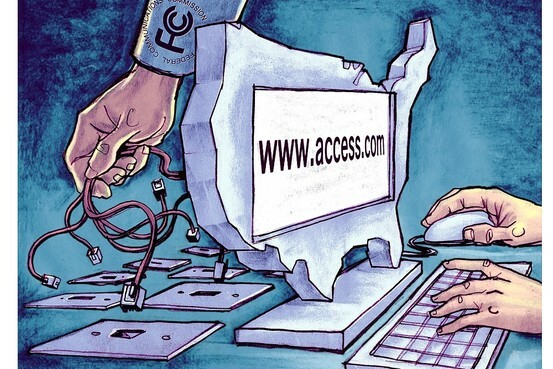 Fundamentally, net neutrality is about equal access to the Internet. In our view, the broadband carriers should not be permitted to use their market power to discriminate against competing applications or content. Just as telephone companies are not permitted to tell consumers who they can call or what they can say, broadband carriers should not be allowed to use their market power to control activity online. and here's some clip art!